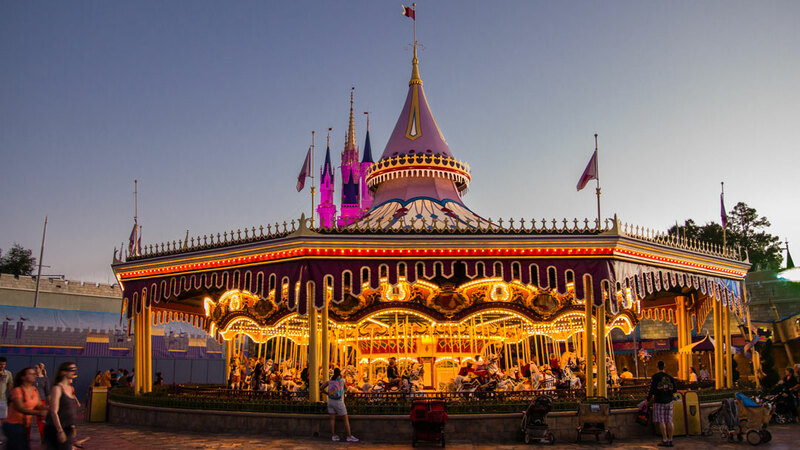 Disney World's first carousel is still great fun for the whole family. 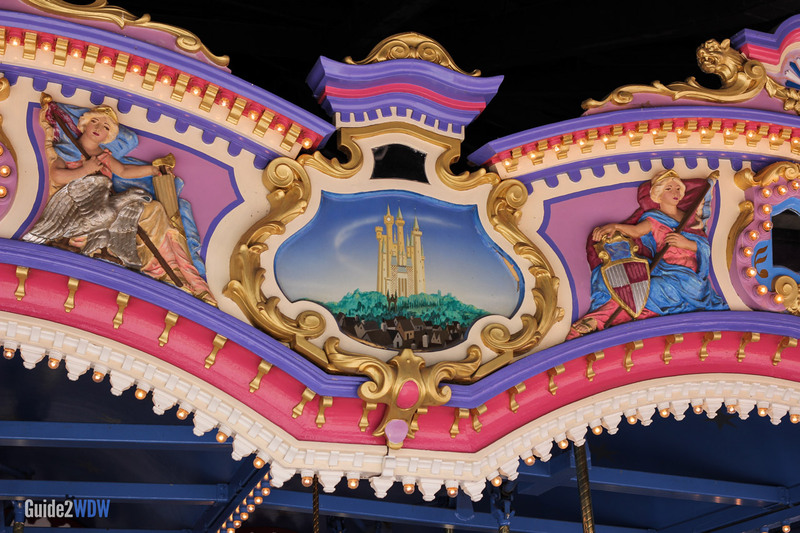 This Cinderella themed carousel can be found in the heart of Fantasyland. Riders get on horses (some which move up and down, and some which are stationary) that circle around as music plays. 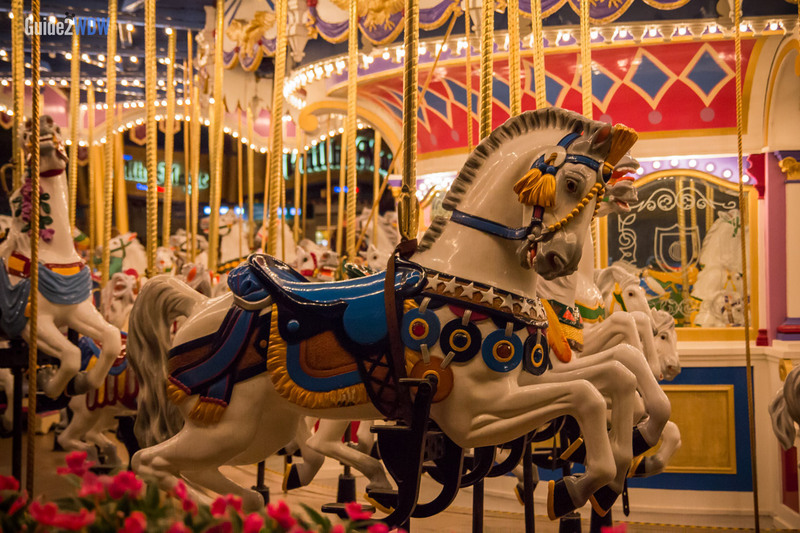 While this is a pretty standard carousel, it remains a classic Disney World experience. If the line is short, it’s great fun. If there’s a long line, we would recommend trying out some of Magic Kingdom’s more unique rides before this. 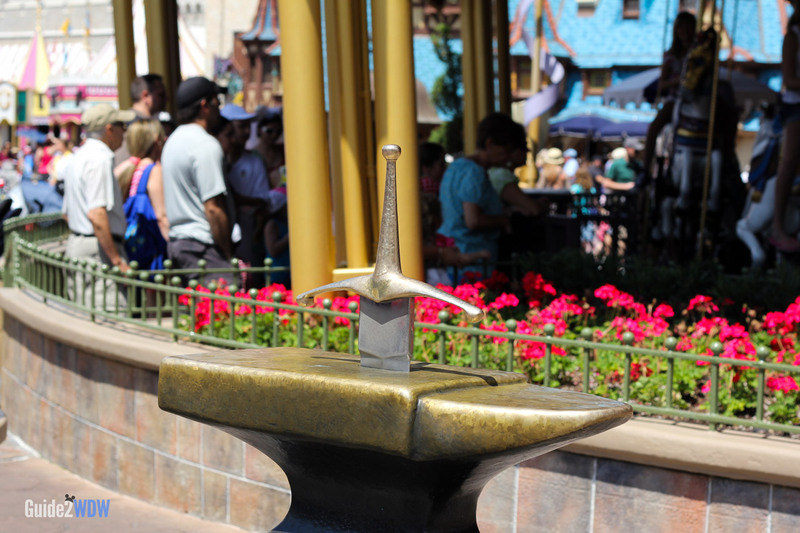 Be sure not to miss a fun detail in front of the carousel: The Sword in the Stone. Try your luck to pull it out of the stone. If destiny is on your side, you might be the chosen one that day at Disney World. Every horse on this carousel is different. The original name of this carousel was Liberty. Each horse on the carousel is unique. The top of the carousel depicts scenes from Cinderella. 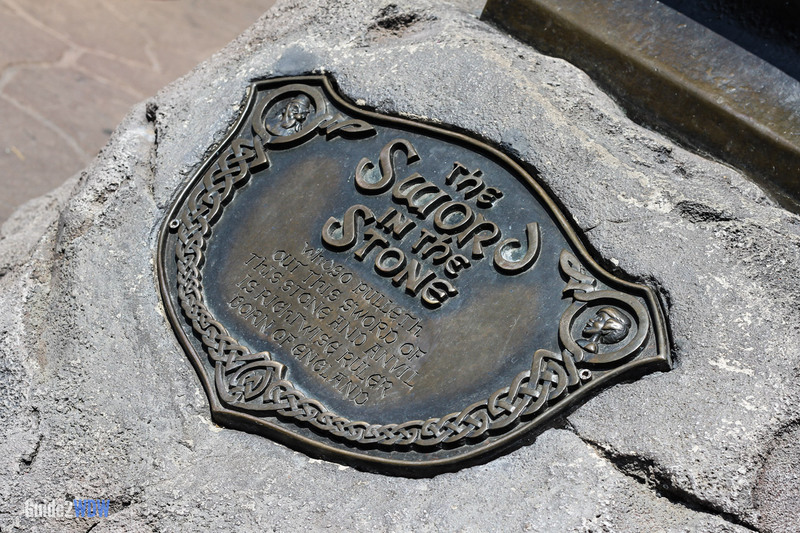 In front of the carousel lies the Sword in the Stone. This sign is one of the many examples of the intricate details that exist at Disney World.